Syria – The world’s bloodiest war by far; also has generated millions of refugees. Atrocities on all sides but primarily the government. Spread to Iraq in 2014. Still no solution in sight. Afghanistan – Fate of government uncertain as international community draws down forces and Taliban persists. Iraq – Radical Islamists from the U.S. war in Iraq fought in Syria and in 2014 seized much land and resources with support of Sunni tribes who oppose Shi’ite government. Pakistan – After collapse of peace talks, government battling Taliban elements in autonomous tribal areas adjacent to Afghanistan. Nigeria – In the north, a violent Islamist group has instigated repeated violence such as bombings, and government attacks in response. Sad day when the Islamist terrorists blew up the UN building in 2011. Now they are killing women polio vaccine workers. 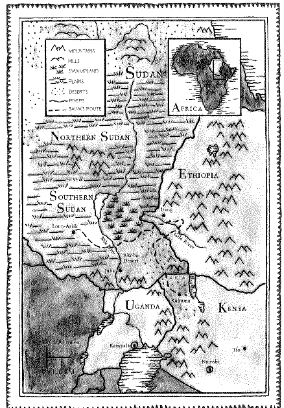 The fighting occasionally spills over into neighboring Cameroon. D.R. Congo – Beefed-up peacekeepers suppressed one armed group in the violent east of the country, and in 2104 were trying to coax another to disarm. Sporadic but really nasty fighting continues to erupt in certain eastern locations. 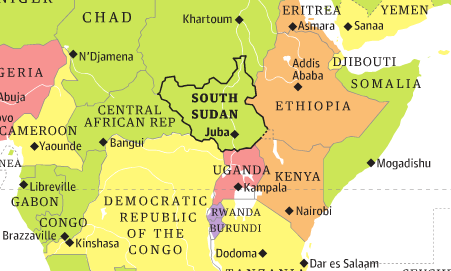 South Sudan – After a long north-south war, the south voted for independence, achieved in 2011. But South Sudan itself slipped into a bloody civil war (along ethnic lines) that reportedly has killed tens of thousands. A shaky cease-fire had been in effect since May 2014. In June 2018, a "permanent" cease-fire was declared, but it was violated within hours of taking effect. India – Little Maoist insurgencies of long standing; now in a cease-fire with one main group, may be winding down. Mali – Islamists were routed from north by French, but ethnic insurgency threatens to erupt again; cease-fire agreed in May 2014. The Philippines – Sporadic residual fighting with Islamist militants on southern islands. Russia – Low-level Islamist militants from the south, including Chechnya, stage incidents and bombings sporadically. Somalia – African Union troops (mostly from nearby countries such as Uganda) restored government control of all major cities, leaving al Shabab militants in the countryside to carry out occasional bombings in the cities they no longer control (and in neighboring Kenya, which has troops in Somalia). Sudan – The genocide in Darfur was mainly in 2004, but brutal incidents continue there; rebels remain active. Yemen – The post-Saleh government with many competing factions has had some success against Islamic militants who had seized some towns in the south, but ethnic-based fighting has flared up in the north. 1. View the photos below. 3. Right-click and copy the image. Paste it into the box in OneNote. At the age of twelve, Ishmael Beah fled attacking rebels in Sierra Leone and wandered a land rendered unrecognizable by violence. By thirteen, he'd been pickup up by the government army, and Beah, at heart a gentle boy, found that he was capable of truly terrible acts. At sixteen, he was removed from fighting by UNICEF, an aid organization. Through the help of the staff at his rehabilitation center, he learned how to forgive himself, to regain his humanity, and, finally, to heal.